According to new research from cybersecurity firm Radware, the average cost of a cyberattack has risen to $1.1m though with organisations that calculate (versus estimate) the cost of an attack, that number increases to $1.67m. The firm's recently released 2018-2019 Global Application and Network Security Report also shed light on the top impact of cyberattacks with businesses citing operational/productivity loss (54%) followed by negative customer experience (43%). Almost half (45 percent) of respondents reported that the goal of the attacks they suffered was service disruption while a third (35%) said the goal was data theft. Despite the increase in cyberattacks, a third of businesses do not have an emergency response plan in place despite 78 per cent of organisations experiencing service degradation or a complete outage during the last year which is up by 10 per cent in 2018. The company also found that while the cost attack mitigation continues to rise, so does the number of organisations under attack with most organisations experiencing some type of attack within the course of a year and only seven per cent of respondents claiming not to have experienced an attack at all. Twenty one per cent of those surveyed reported daily attacks representing a significant rise from 13 percent last year. 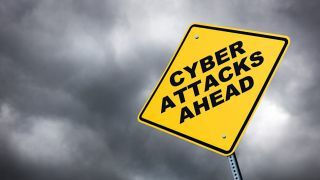 Cyberattacks have also grown more effective with 78 percent of respondents hit by an attack experiencing service degradation or a complete outage compared to 68 per cent last year.